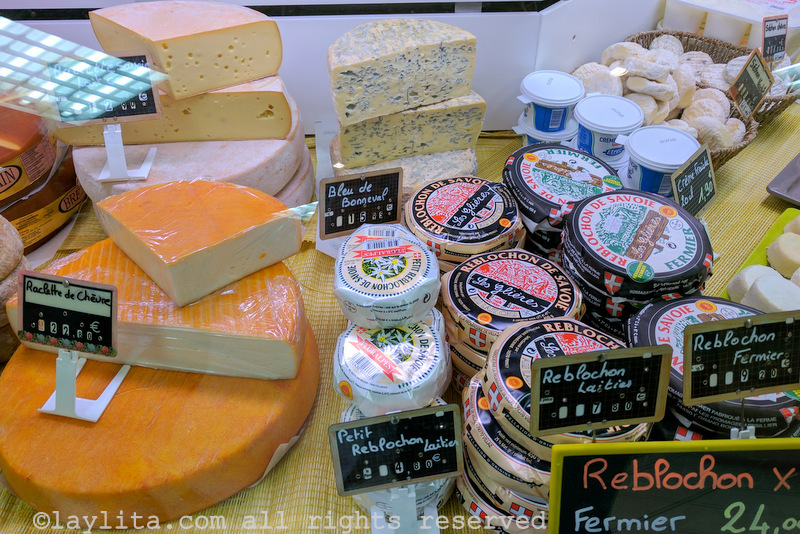 While writing our list of foods to try in the Alps we had so many cheese options – and so many cheese based dishes – that we thought it might be best to give French Alp cheeses their own post. 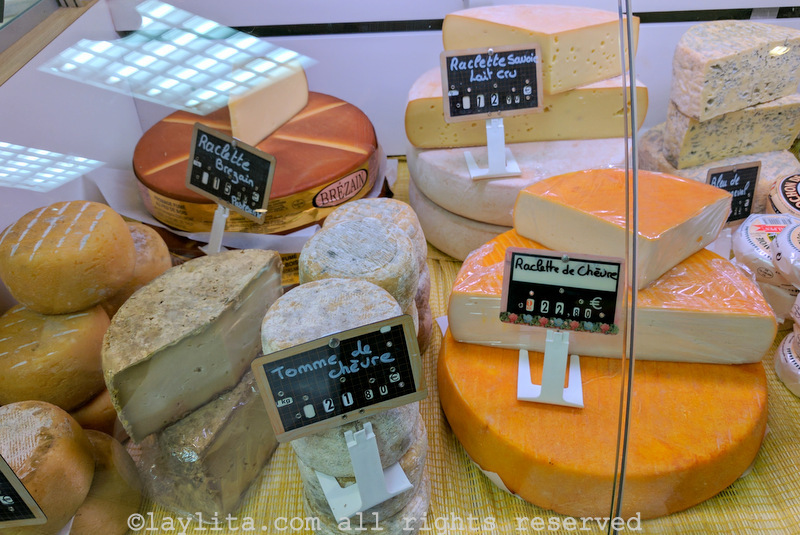 There are so many comforting cheese based dishes in the Alps, but it is also an experience in and of itself to taste the different cheeses on their own, for their unique flavor. It is remarkable that with only cow milk (or goat/sheep milk) to start from, so many different varieties of cheeses can be produced. 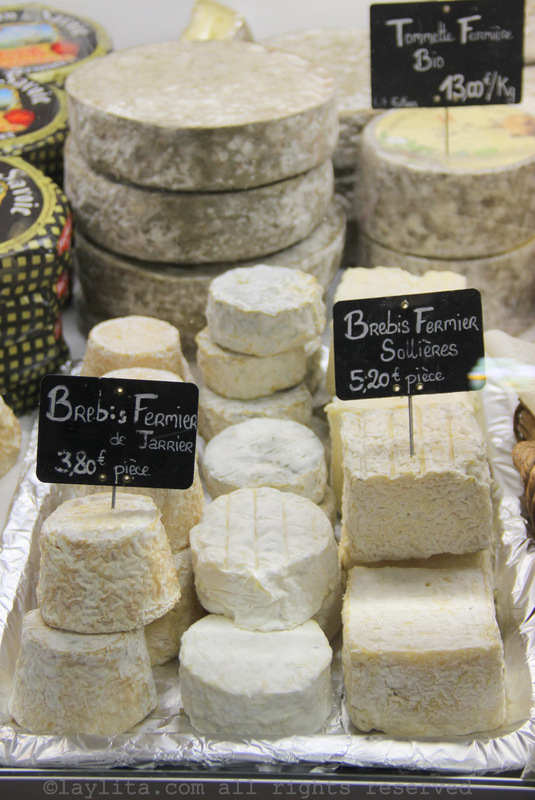 Here are some of our favorite cheeses to try in the French Alps. The Beaufort comes from the county of Savoie and was originally started in the Beaufortin valley. Since then the remaining areas of Savoie, the Maurienne and the Tarentaise, are also producing this cheese from raw milk. The Beaufort is aged, unlike the Reblochon, for example. For purists, local cheese stores will sell you two types of Beaufort, the summer and winter varieties, depending on when the cheese was made. Cows eat differently depending on seasons, and this alone creates a fork in the recipe, and a distinction between the flavor of cheeses. Buy a piece of each and try the difference. 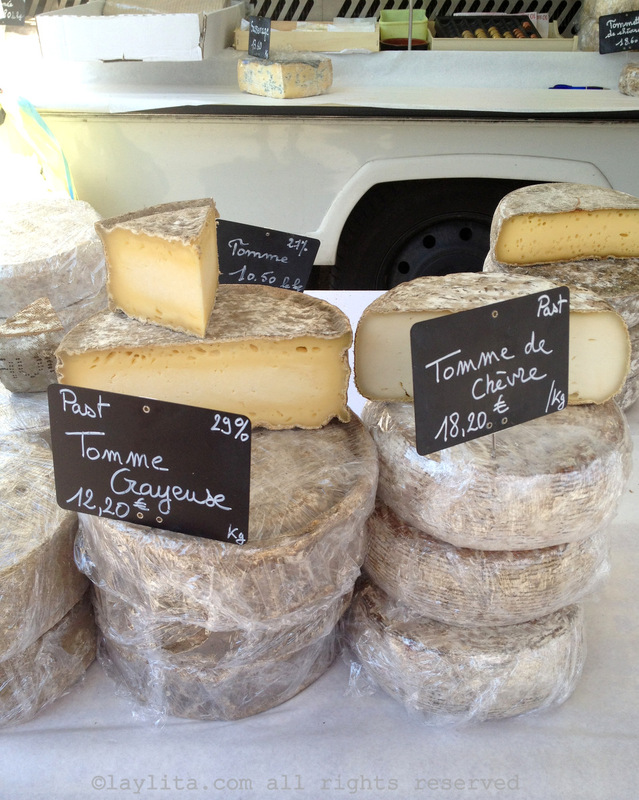 The tomme de Savoie is another iconic cheese from the Alps. You can recognize it at first sight, with its thick and dark skin. This cheese is made from skim or semi-skim milk after the cream was removed to make butter. I grew up eating tomme almost every week. It’s a cheese that is both flavorful and soft enough to go into sandwiches, whether for hikes, for going skiing, or to eat it for any occasion. This cheese is usually made from cow milk, however it is possible to find variations made from goat milk. 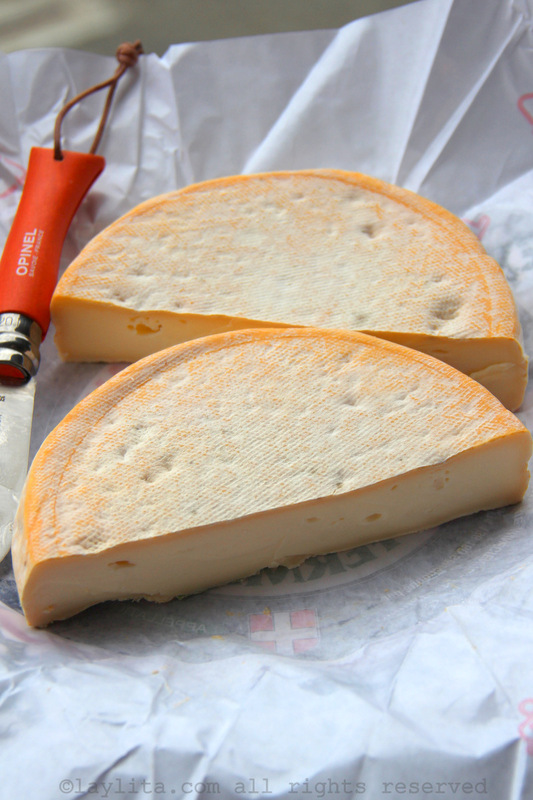 The Reblochon is made from raw milk, which makes it difficult to export to countries like the United States today. The US allows many food products, but raw milk imports so far haven’t made the list of what the government considers safe. Strange logic, but that’s the way it is. So if you happen to be in the Alps, don’t miss on the Reblochon. You can enjoy it as part of a tartiflette, as discussed above, or on its own. It can feel a little intimidating at the first sight, and especially, the first smell. The skin the a bit oily, a bit stinky and difficult to peel, given the fact the cheese is young and very soft. But don’t get discouraged. Once the skin is removed it’s a very tasty, mainstream cheese experience with the edge of Reblochon flavor. The reason why we recommend these dishes and cheeses is because, first, they are iconic of the Alps. 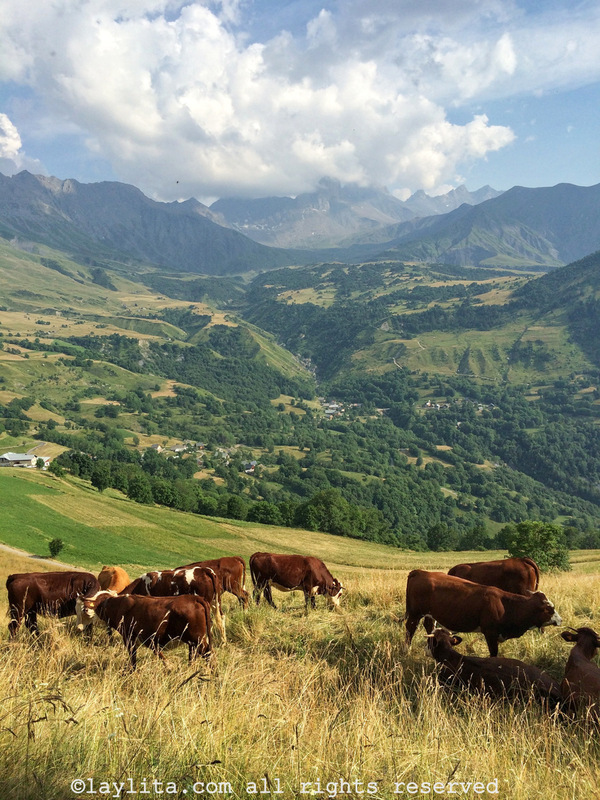 But also, cows and goats in the French mountains have some of the best lives that animals could ever wish for. They live far away from industrial warehouses where some cattle never sees the light of day. Mountain cows and goats from the Alps live in the mountains, breathe fresh air, eat grass and the plentiful variety of wild flowers. They roam between one hill, one mountain to another, drink water that’s as pure and nutritious as it gets, direct from the melted glaciers. 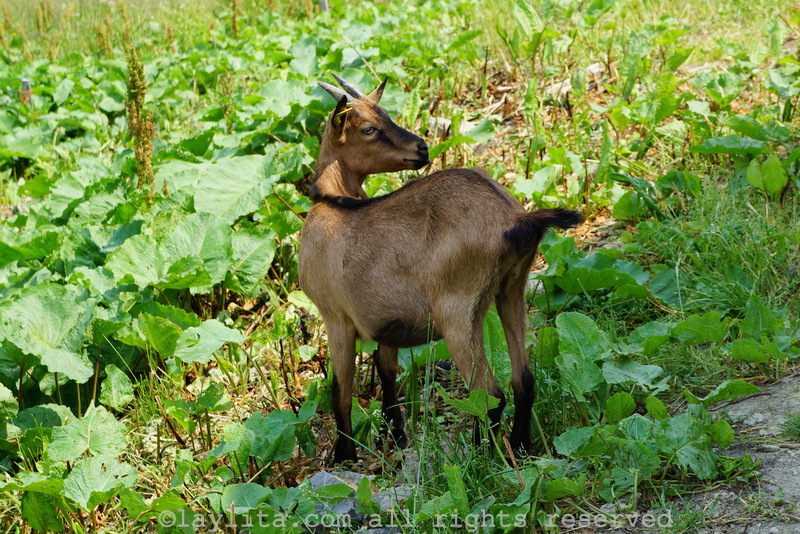 Local farmers often make their own goat cheeses, and do they taste amazing also. You’ll need to ask around who makes their cheese locally. Try farmers’ markets: the experience of the market by itself is worth it, and you’re more than likely to encounter a local cheese stand. Raclette is both the name of a specific cheese and of the famous raclette dish. The raclette dish consists of slicing cheese into individual portions and melting these inside small flat metal spoons placed in the central heater. It’s a very social dish, and you can use a variety of cheeses. However, some cheeses melt much better than others, and that’s why raclette cheeses exist. 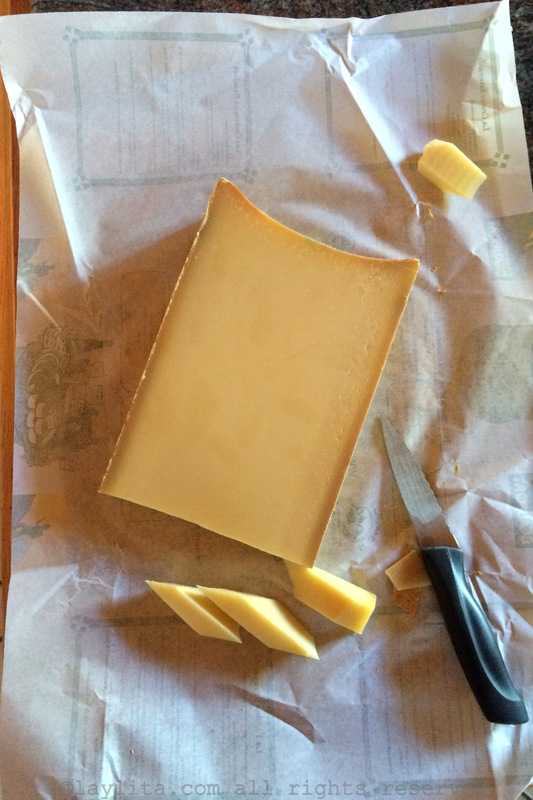 Raclette cheese is made from cow milk and usually raw milk. 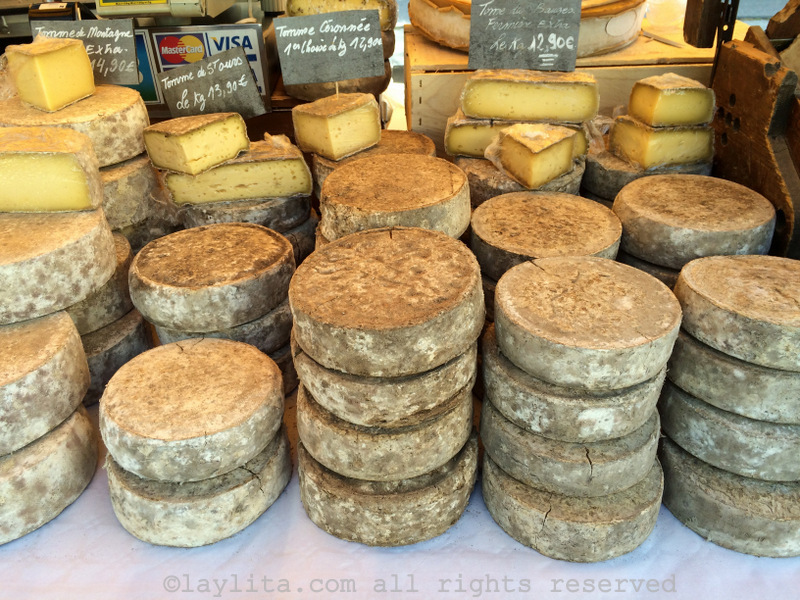 Nowadays you can find raclette cheese from both raw or pasteurized milk. The property of raclette cheese is that it can melt without the fat separating from the proteins, which is a problem for many other cheeses. If these separate, you end up with a dry crust surrounded by oil. But if the melting works, you have a delicious, warm and almost liquid cheese that still retains its consistency. It is then perfect to pour over a potato, a piece of bread, ham, or a steamed vegetable. Sheep cheeses can be enjoyed on their own just like the Tomme de Savoie. 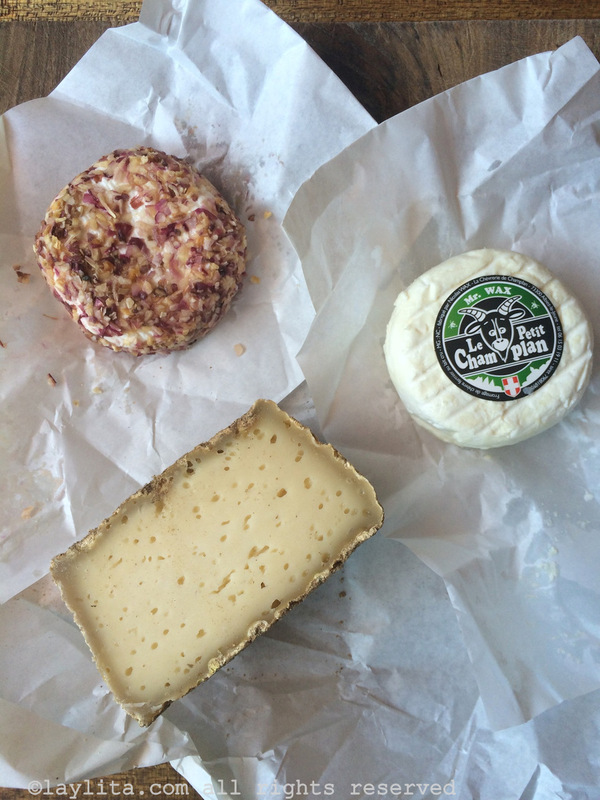 Most sheep cheeses in the Alps are softer, even when aged and taste very similar to a soft aged goat cheese. A variation from the same region is the Tomme de brebis, made from sheep. They are a little more firm than other cheeses, and can be grated on top of pastas or other dishes, similar to Parmesan. The region of Savoie has its own blue cheese. You can find blue cheeses in many places, but this one is made on a traditional recipe and in the heart of the mountains. This blue cheese of the town of Bonneval-sur-Arc (the Arc is the river of the Maurienne valley) is made with raw milk. The cows for this cheese are from two specific breeds, the Tarentaise cow, and the Abondance cow, also from this region. 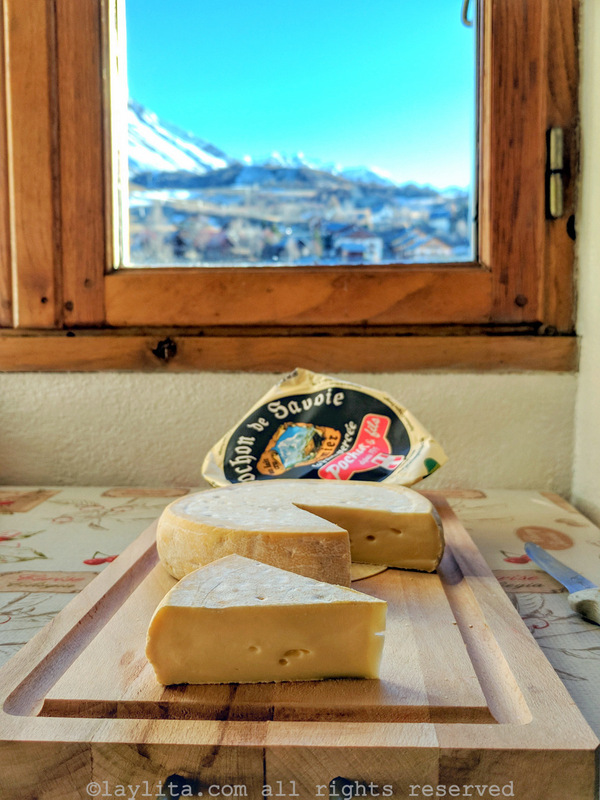 The cheese shop that makes this particular variety is located deep in the Maurienne Valley, near the Italian border, in the town of Lansleboug-Mont-Cenis. This cheese is great to enjoy after the main dish. In France it’s common to eat first the salad, then the main dish, then cheese with a piece of bread, then dessert (and coffee, optionally). Pair it with a red wine to match the distinct taste of blue cheese.